Precious metals markets started the new week with a bit of a mixed picture last night in overseas trading. Spot dealings showed gold falling $2.40 to $1,640.00 and silver down a dime to $31.60 per ounce. Platinum and palladium each advanced $1. The US dollar climbed 0.14 to 79.28 on the trade-weighted index. Monday morning’s New York trading action opened amid intensifying waves of selling in the complex. The principal moving agent for the decline in metals was the dollar-oil trend. Spot gold fell $19 (1.1%) after the opening bell and was quoted at $1,623.50 the ounce. Silver was bid at $30.82 per ounce, down 90 cents or 2.8%, after it broke a major support shelf at $31.50 in pre-opening action. Platinum dropped $24 to the $1,553 mark while palladium slipped $11 to the $663 level per ounce. Rhodium remained unchanged at $1,350 the ounce. In the background, the US dollar was up 0.40% at 79.53 on the index and crude oil lost $1.02 to ease to the $102.80 level per barrel. Copper declined 1.6% this morning. The latest CFTC positioning reports indicate that hedge funds have slashed their bullish bets on commodities by the largest amount in four months in the week that ended on the 17th of the month. Such speculators appear to be exhibiting concerns that relate to the possibility that a synchronized global economic slowdown may be underway. The situation prompted one money manager to conclude that"conditions just aren’t favorable for a commodity rally." The weekend pledge by various nations to pump $430 billion into the IMF’s coffers is being seen by the spec crowd as basically an assistive measure for a faltering global economy. Signals coming from the world’s second-largest economy (China) indicate that not all is well given the slowest pace of expansion in circa three years. That country accounts for 40% of copper’s offtake and 11% of oil demand, globally speaking. The most recent metrics from China indicate that the country’s demand for back gold has fallen to the lowest level since last fall, while its manufacturing activity is slated to show a contraction for the sixth consecutive month. The Sydney Morning Herald’s Business Day contributor Matthew Kidman notes several interesting aspects of a gold market that now has everyone (and their cousins) suddenly turning into self-proclaimed analysts. First, Mr. Kidman correctly underlines the fact that "there is not an analyst on the face of the Earth who can accurately value gold" since it cannot be based on conventional metrics such as ROA or discounted cash flows. Score one for Warren Buffett. "gold bugs like to say that the demand for gold is strong, but the reality is the supply of bullion far outstrips demand that is going to be the case well into the future." Mr. Kidman also cautions that while gold used to be "traditionally a fear trade, gold turned into a greed trade after the crisis as the price marched higher." "no matter how the story is dressed up, the price of an asset can climb for extended periods at elevated levels before mean reversion starts to kick in." "this does not necessarily mean gold has reached that point, and looking at the charts there is a better than even chance it can surge again, Mr. Kidman advises that "what it does mean, though, is the end of the bull market is a lot closer than it was in 2001, and the downside potential is much greater than at any stage in the previous decade. In other words, the risk/reward equation is no longer in favour of the new buyer of the metal. Missing the final 25 per cent of a bull market is better than sticking strong and watching your investment melt in the sun." Mr. Kidman also advises taking a look (in the bargain-hunting sense of the word) at gold… miners’ shares as an alternative play. As someone wiser than yours truly said, "Something’s Gotta Give." Whether that implies a $100-200 drop in bullion’s price tag or the GDX returning to some former semblance of normality (ratio-wise) is an open question, but one we may not have to wait too long to get an answer to. Well, with the stroke(s) of several members’ pens, the lending capacity of the IMF was virtually doubled this weekend in the wake of official commitments by various nations totaling more than $430 billion. The funds that were pledged by nations ranging from the Czech Republic to Singapore are intended to bolster the institution’s ability to address problems such as global financial instability and economic risks. However, the IMF’s largest shareholder, the USA, has opted to hold off on providing additional funding for the time being. "it would be wrong to conclude that BRICS economies have set up conditions for their financial contributions to the IMF, but pointed out that a number of countries were yet to approve the quota reform being demanded by the grouping." In any case, the IMF needs to be practicing the art of fundraising as readies itself for the estimated $1 trillion it will require in coming years in order to fulfill its mandates.The verbiage of the announcement tried to make it clear that the additional funding has nothing to do with Europe or its current difficulties, and that the funds are being set aside for "all members of the IMF." Whether or not the money ends up being used by someone other than an EU nation in trouble remains to be seen. There is however, no doubt that $430 billion bought a pretty substantial "firewall" for someone. The markets are all set for tomorrow’s and Wednesday’s FOMC policy-setting meeting and for the subsequent official announcement regarding monetary strategy. The Fed is still seen as grappling with the twin issues of recently decent US economic growth and a still-sluggish US labor market. At the same time, inflation has been running slightly above Fed targets. Thus, the Fed is mindful of not making a meaningful departure in either direction (tightening or accommodation) at this juncture. As to what might be said and how it will be framed, for the moment, what we have on offer is educated… speculation. "Disappointments in recent US economic data set the stage for a more dovish FOMC through Wednesday’s rate decision and leave risks to the downside for the Dollar. But economists predict late-week US Gross Domestic Product growth data will show robust US growth through Q1 and may offer some support for the dollar. Yet it feels like we’ve been here before: big economic data on the docket, and any surprises could theoretically force a USDOLLAR breakout or breakdown. Time will tell whether or not we actually see those big breaks." — Daily FX. Other surveyed parties in a Bloomberg News-conducted poll are less equivocal about the greenback and its prospects. The findings are that "there’s at least one thing that bulls and bears on the U.S. economy agree on: the dollar, the most undervalued major currency in the world, is due to rise as Europe’s sovereign debt crisis threatens the global recovery. Strategists who as recently as November were predicting the dollar would depreciate against currencies of the Group of 10 nations, now say it will climb by year-end. After weakening against all but the Mexican peso among its 16 most actively traded peers over the past decade, it has gained against 13 of them since February." 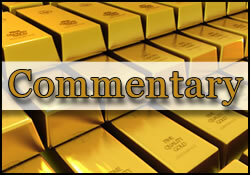 "gold will go where the dollar does not in 2012." And now, back to the Fed. It still dominates the week, despite China‘s and Europe’s woes. A Reuters News poll conducted last week indicates that the odds of the US central bank launching another round of bond purchases at this week’s meeting have declined significantly. Famed Bay Area money manager Kenneth Fisher (under whose stewardship there are more than $43 billion in investor assets) opines that the US economic conditions he is observing are the best in quite a while. To be sure, the current year certainly has not had to contend with the after-effects of a huge quake in Japan, nor with an S&P credit rating downgrade of the USA. About 18 out of the 23 S&P 500 firms which have reported earnings thus far this season have achieved better-than-forecasted (by an average of 8.8% at that) results. Apple Inc. will be the earnings’ headliner this week as about 180 more US firms report their results. Market pundits are betting that this week’s slew corporate earnings and the Fed’s words of wisdom will jointly prove that the recent stock market jitters may have been misguided and perhaps too European or Chinese-flavored. For the moment, the pundits have their work cut out for them; this morning’s stock index futures were pointing… lower. Languishing Chinese factories were being blamed, in part.